Start off your visit on the 11th (Tue): stroll through Santa"s Cottage & Pet Farm, explore and take pictures at Ice Karting Levi, have some family-friendly fun at G2 Ice Karting Levi, then make a trip to LUVATTUMAA - Levi Ice Gallery, and finally have some family-friendly fun at Kid's Land. For other places to visit, more things to do, where to stay, and other tourist information, read Levi trip itinerary planning app . Glasgow, UK to Levi is an approximately 15-hour flight. You can also drive. The time zone difference moving from Greenwich Mean Time (GMT) to Eastern European Time (EET) is 2 hours. 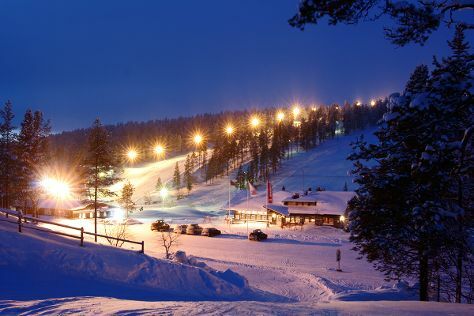 Expect colder temperatures when traveling from Glasgow in December; daily highs in Levi reach -6°C and lows reach -15°C. Finish your sightseeing early on the 11th (Tue) so you can travel to Saariselka. Kick off your visit on the 12th (Wed): fly down the slopes at Saariselka Ski & Sport Resort. To find other places to visit, ratings, where to stay, and tourist information, you can read our Saariselka trip itinerary site . Do a combination of bus and flight from Levi to Saariselka in 3 hours. Alternatively, you can drive; or take a bus. In December, plan for daily highs up to -7°C, and evening lows to -17°C. 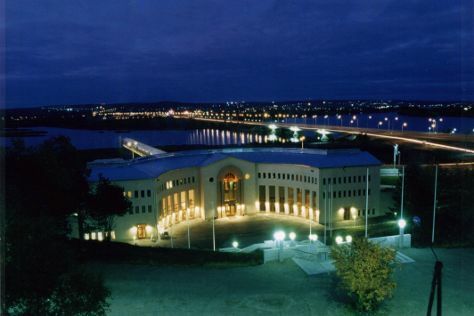 Finish your sightseeing early on the 12th (Wed) to allow enough time to drive to Rovaniemi. On the 13th (Thu), stop by Your Piece Of Finland, then take an in-depth tour of Arktikum, then see Santa Claus Office, and finally find something for the whole family at Santa Claus Village. For more things to do, reviews, where to stay, and other tourist information, read our Rovaniemi planning app . You can drive from Saariselka to Rovaniemi in 3.5 hours. Another option is to take a bus. December in Rovaniemi sees daily highs of -6°C and lows of -13°C at night. Wrap up your sightseeing on the 13th (Thu) early enough to travel back home.